Yes, there’s been so much hype created behind “the dress” and what colour it actually is – Almost everyone I know discussed the colour and the debates were endless. A lot of people made jokes, scientific remarks, it broke the internet and achieved widespread coverage throughout the world. Hehe.. ok, I am not trying to sound radical or feminist but I feel such a day is not exactly necessary. Of course, who doesn’t like special treatment but free spas and gifts are really quite the opposite of what women’s day stands for! On this international women’s day, I just wish that we start addressing the critical problems that women are genuinely facing around the world with the same enthusiasm that we show towards updating statuses wishing women – “Happy Women’s Day”. There is no denying the fact that violence against women is practiced at all levels of society, around the world including India. And while the fight against violence continues, I want to bring your focus to a compelling campaign which I found online and I thought I should share it with you today. 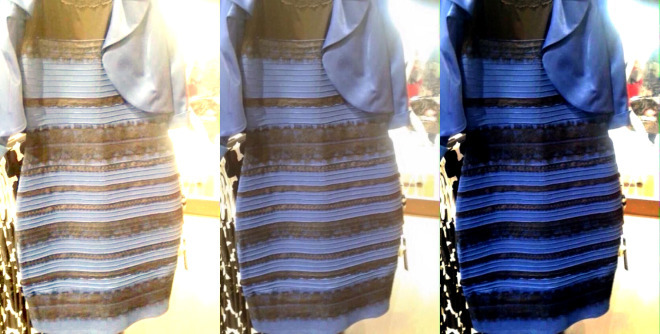 Why is it so hard to see blue & black? Just like how every social media platform was blowing up debating the colour of a random dress, I believe it’s high time we start blowing up such matters with the same intensity as well.